Captain Scarlet on Region 2 DVD! THIS IS THE VOICE OF THE MYSTERONS. WE KNOW THAT YOU CAN HEAR US EARTHMEN. OUR RETALIATION WILL BE SLOW, BUT NONETHELESS EFFECTIVE. IT WILL MEAN THE ULTIMATE DESTRUCTION OF LIFE ON EARTH. IT WILL BE USELESS FOR YOU TO RESIST, FOR WE HAVE DISCOVERED THE SECRET OF REVERSING MATTER, AS YOU HAVE JUST WITNESSED. ONE OF YOU WILL BE UNDER OUR CONTROL. YOU BE INSTRUMENTAL IN AVENGING THE MYSTERONS. OUR FIRST ACT OF RETALIATION WILL BE TO ASSASSINATE YOUR WORLD PRESIDENT. The Mysterons have already taken over the body of Captain Black, one of the men aboard the MEV. Black is also a member of the the world security organization, Spectrum. It is Spectrum which has been given charge of securing the life of the World President . However, the Mysterons take advantage of a car crash where Captains Brown and Scarlet are killed and take over their bodies. The first attempt on the President's life by Brown is foiled. Scarlet, kidnaps the President and is cornered by Spectrum atop the London Car Vue, where in a showdown with Captain Blue, he falls to his apparent death. But no, the fall releases Scarlet from the power of the Mysterons yet he retains the control of retrometabolism, becoming virtually indestructible. Thus begins a war between the Mysterons of Mars and earth. A war of nerves. Each episode brings the earth ever to the brink of terror. Sometimes the Mysterons win, sometimes earth. 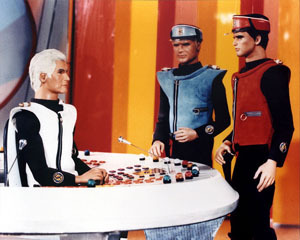 Even when asking for terms of peace and friendship the Mysterons are unmerciful. Eventually, weapons and technology is discovered to assist the earth against this seemingly unrereasonable foe. And always Spectrum needs to play its trump card, Captain Scarlet. 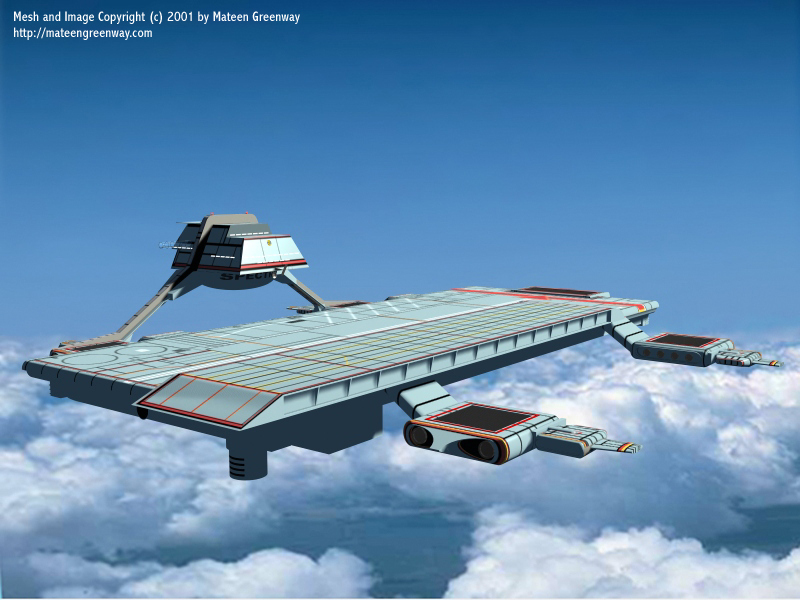 Cloudbase is the aerial headquarters of the Spectrum organisation, hovering at a height of 40,000 feet above sea level. 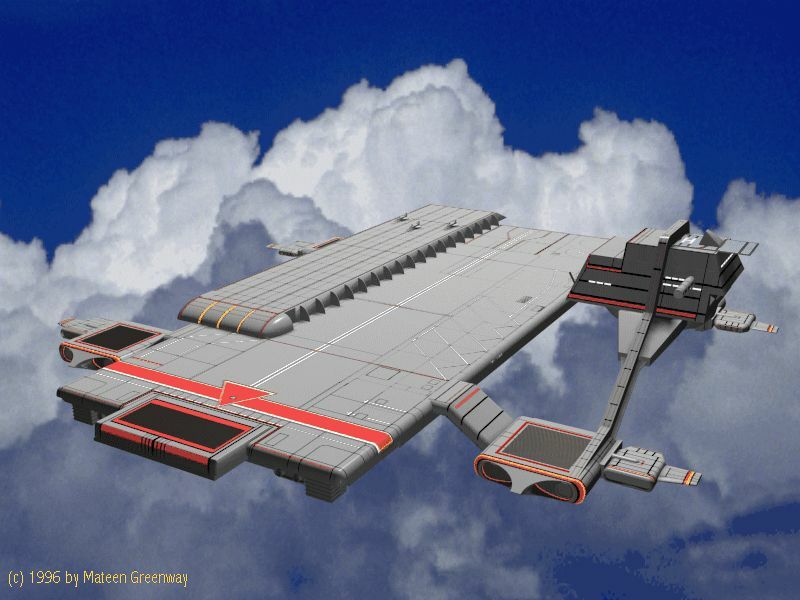 Cloudbase is 630 feet long and 330 feet wide, it is a unique, completely self-contained engineering marvel. An aircraft carrier in the sky where members of Spectrum live and work. 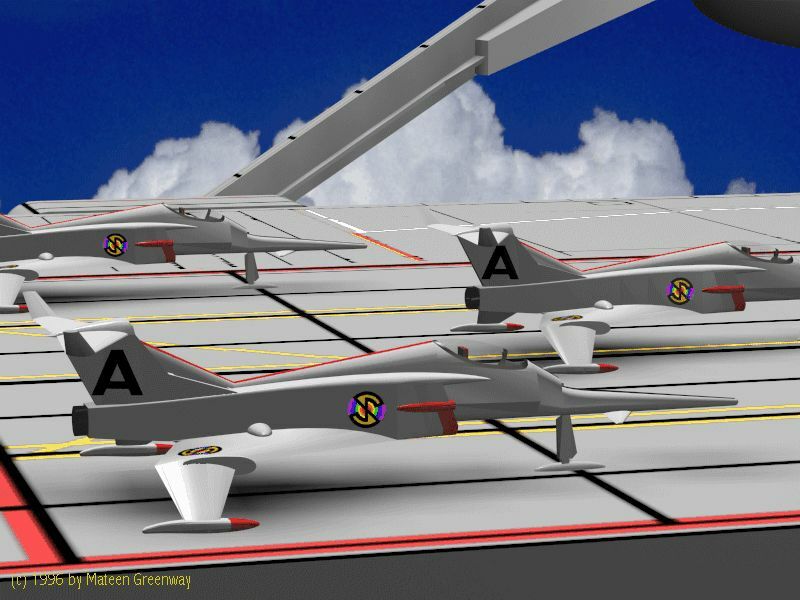 The Angel Interceptor aircraft is a single-seater strike fighter developed by International Engineering. It's design was based upon the World Air Force Viper jet. 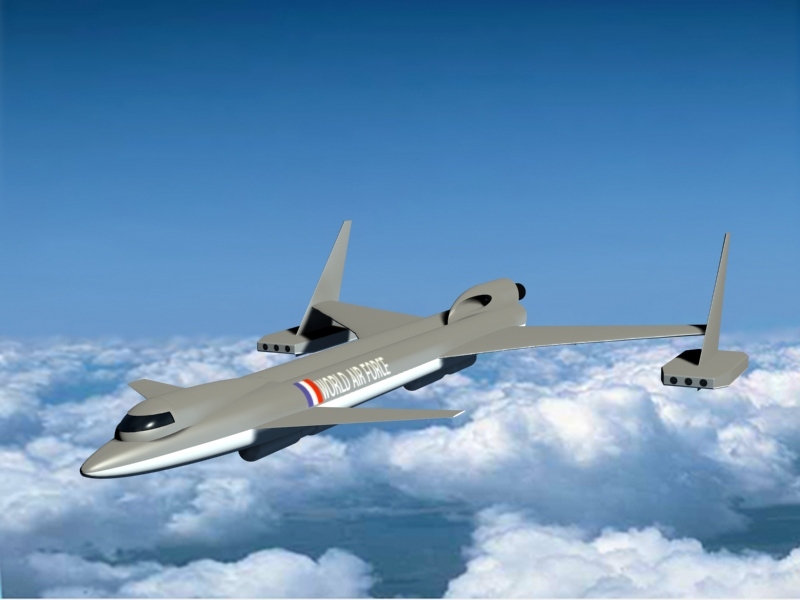 But the final configuration of the Angel is vastly different from the original Viper, having been specificallyadapted for Spectrum requirements, including the ability to operate from Cloudbase. The Angel is 60 feet long with a wingspan of 35 feet. Weighing in at 40,100 lb, each aircraft costs £12,500,00 and takes nine months to build. The Angel is precision-engineered and incredibly compact, carrying additional avionics and fuel tanks which enable it to fly at a top speed of 3,000 m.p.h. .
Captain Scarlet Complete Series Box Set on VHS tape and Region 2 DVD!